Mary Colter is a prominent historic figure of, not only the Grand Canyon, but of the south west. I often say the Mary Colter bracketed the National Park, having designed the western most structure of the south rim (Hermit’s Rest), the eastern most structure (Desert View Watchtower), the lowest structure (Phantom Ranch), and one of the highest on the rim (Hopi House). 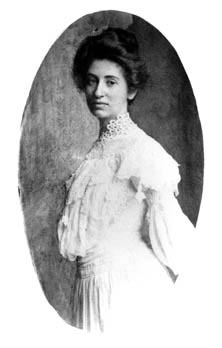 Colter spent a 38 year career in architecture, one of only few female architects for the time period she was active (1910 – 1948). She was one, if not the, most influential however. By the end of her career she had become an expert in Native American art in her own right, using her expertise in the design of her structures. So influential, that her works gave rise to a unique style of architecture; warmly regarded as “parkitechture” by her. 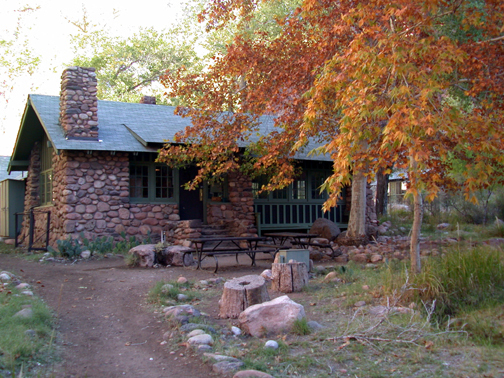 Though officially known as National Park Service Rustic; which is officially used by the National Park Service. Recognizable elements to her work include rustic, Spanish colonial revival, Mission revival, and Native American motif styles. Colter was known as a perfectionist; her attention to detail led her to great detail, from the most meticulous selection of “randomly jumbled masonry”, to writing the content of a guidebook for guides for her Desert View Watchtower to use. Each of her projects built with a theme and backstory in mind. Each design made with the consideration of a whole history, storied and full of ghosts. 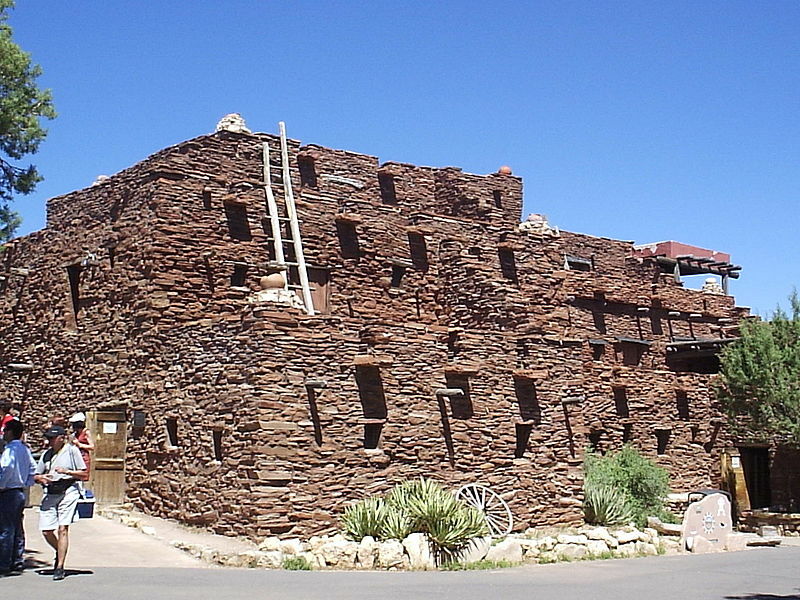 Her self-proclaimed masterpiece is the La Posada Hotel, in Winslow, Arizona. A large hacienda styled hotel done in the Spanish Colonial revival style; with acres of gardens. The La Posada was entirely her design, not only of architecture; but every aspect. The china was her design, the furniture, the maid’s uniforms, everything! 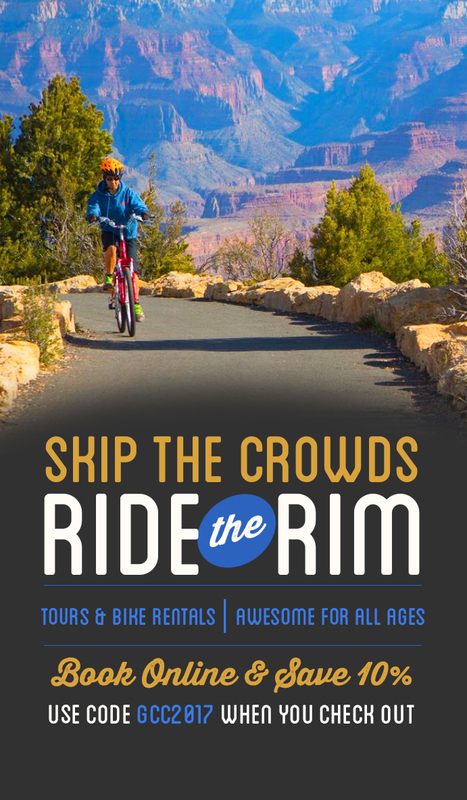 Mary Colter was but one of many prolific historic figures of the Grand Canyon. I hope each step you take on your journey brings you back in time!